A PCO or a PC-based oscilloscope is a form of an oscilloscope based on a special printed circuit board that could be an ISA card, a USB or a Peripheral Component Interconnect (PCI) card. In this setting, a personal computer supplies the control interface, the display, network capability, hard disk capacity and the actual power for the acquisition device. Employed in various sectors to provide service for research, hardware and system assessment, a PC-based oscilloscope displays signal voltage in two dimensional graphs. It also indicates amplitude distortions in relation to events and frequency. The popularity of PC-based oscilloscope is primarily attributed to the prevalent use and affordability of both laptop and desktop computers. Unlike traditional oscilloscopes, which are stand alone equipment, PC-based oscilloscopes are also transportable. The interface acquisition of the PCO depends on the application which requires more system capability. It can be a video game port — when low-frequency signal and sound is required — or a regular audio card. Information may be transported by the scope to the PC using different principal modes, such as block or streaming. Block mode uses random access memory of the computer to collate a block of data that is automatically copied to the PC as soon as it is recorded. The computer then receives the data block after block at high speed, which effectively increases sample capabilities up to the processor’s transfer limits. Meanwhile, information is recorded continuously in the streaming mode and is more accurate since no data is lost as what could happen between blocks. The method of connection, such as Ethernet or USB connections, determines the actual speed of streaming. PC-based oscilloscopes can be used in countless applications for general purposes. It is also widely used by technicians as a diagnostic tool for computer problems and for maintenance work on a vast array of electrical devices. In automotive and medical settings, the PC-based oscilloscope also performs tasks that range from diagnosing basic car repair problem to electrocardiograms. PC-based oscilloscopes offer numerous advantages, one of which is cost. If a user already have a workable computer at his disposal, acquiring a PC based oscilloscope is much cheaper than a traditional oscilloscope. The ease of manipulation of PC spreadsheets and word processors, as well as the information transfer rate of PC based oscilloscopes lure users away from traditional oscilloscopes. Moreover, the data storage and networking capabilities of PC based oscilloscopes are less expensive. The high resolution monitors of laptop or desktop PCs are also superior compared to traditional oscilloscopes. PC-based oscilloscopes also offer easy portability that stand alone oscilloscopes cannot. 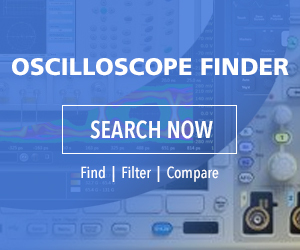 With the growing list of features and the discovery of various modifications possibilities by major manufacturers, PC-based oscilloscopes has transcended from being an exception to becoming a norm.